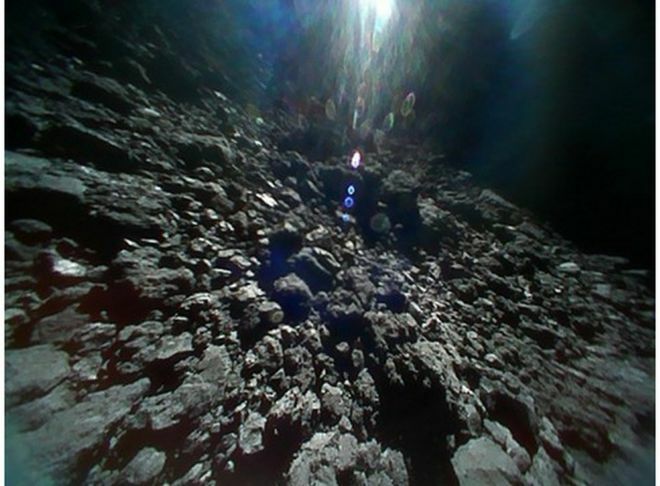 This entry was posted in Space and tagged Asteroid Exploration, Hayabusa2, JAXA, Ryugu, space, Space Videos. Bookmark the permalink. Gobsmacked. (Still, and I remember going outside at night to watch in awe (and shades of incredulity) as the first Sputnik passed overhead.